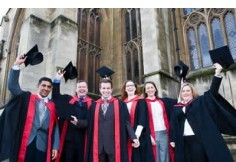 The University of the West of England is recognised nationally and internationally as one of the leading centres for education and research in the Biological Sciences. In recent years there has been increasing interest in forensic genetics, with dramatic developments in forensic DNA typing enabling scientists to determine the identity of an individual using only a small number of cells. This has been extremely useful in identifying perpetrators of violent crime, establishing paternity and for identifying victims of mass disasters. The aim of this programme is to enhance students' awareness and understanding of techniques currently used in forensic genetics, including STR analysis and interpretation, population genetics, the study of mitochondrial DNA and Y chromosome markers. 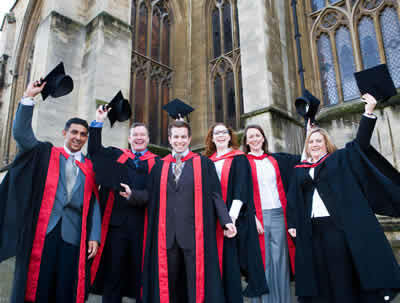 This will enable students to acquire key skills in all fields of biotechnology, forensic DNA typing and interpretation.The programme includes an independent research project that represents one third of the MSc, and is undertaken in one of the School research laboratories, which include the Bristol Genomics Research Institute. The programme is especially suited to biologists and biomedical scientists or forensic scientists wishing either to extend their expertise in this area, or to enhance and update existing experience. The programme will enhance the opportunities to apply for a range of scientific positions within the forensic science sector and/or progress into an appropriate PhD programme. The programme is available as a full-time or part-time route. The part-time route is suitable for those students in full time employment who can attend on a day release basis. A research project is undertaken for the award of MSc. Part-time students undertake the research project during the third year in their own laboratory at their place of work. Full-time students carry out the project under the supervision of leading academic researchers either at the University or on approved placements. A Postgraduate Diploma will be awarded to students who complete only the taught elements of the programme; a research project is not required for the Diploma. Each taught module is assessed by a written examination and coursework. Coursework may be in the form of a case study, study pack, poster, reports or oral presentation. Applicants normally have an honours degree awarded by a UK institute of higher education of at least an upper second status, in a relevant subject, with significant genetics and biology content or equivalent. Please note: preparatory modules at undergraduate level are available for interested candidates who are not eligible for direct entry to the programme.